4 Should you buy them? Battery life Doesn't reach Jaybird's 14-hour claimed playback time, but it's still great. Sound quality The Tarah Pro sound less like the Tarah and more like the X4. New charger design It's still proprietary, but it's the best version so far. Price The Tarah Pro are $30 more than the X4, which are nearly as good. Eargels One of my least favorite things about the Tarah and still one of my least favorite about the Pro. New charger design It's still proprietary. I can't not see the name Tarah Pro as incongruous: a professional edition of a budget product? The Pro do look and feel more like a premium version of the Tarah than they do a refined X4, though, with a similarly thin cable, plus- and minus-shaped volume keys, and angled earpieces that only fit in your ear one way. Rather than the rubberized coating found on the cables of Jaybird's other earbuds, the Pro's cable sports a soft, woven texture inlaid with reflective fibers that should increase your visibility if you're out running at night. The new finish is more comfortable and doesn't get caught on a sweaty neck the way rubber does, but I worry that months or years of workouts could leave it grody. Like the regular Tarah, the buds only fit into your ear canal one way — by default, this means the wire is pointing down. Unlike those earbuds, though, the cable attaches with a rotating mechanism that changes the angle at which it comes off the earpiece. It's a really clever solution, and makes the Pro considerably more versatile than the older Tarah. 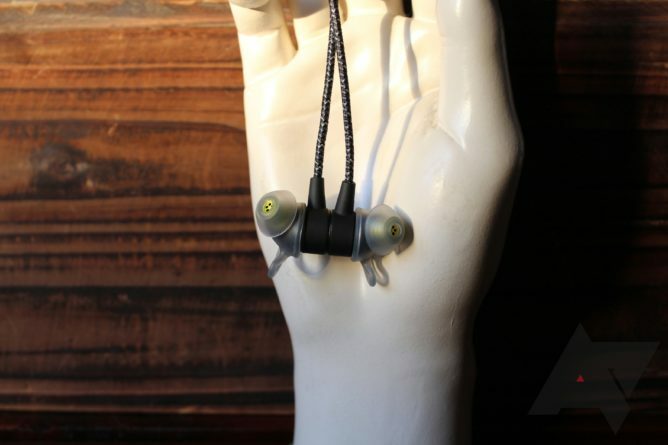 The buds have magnets on the outside that can snap together when they're out of your ears, pausing playback and securing the headset around your neck. The feature is hardly revolutionary, but the Tarah Pro are the first Jaybird earbuds to include it, and it's a welcome addition. As you'd expect, the Jaybird app that's worked with all the company's recent headsets is compatible with the Pro, too. It can tweak the the headset's frequency response and provide a persistent notification showing its battery level, which are features I miss when using other Bluetooth buds. 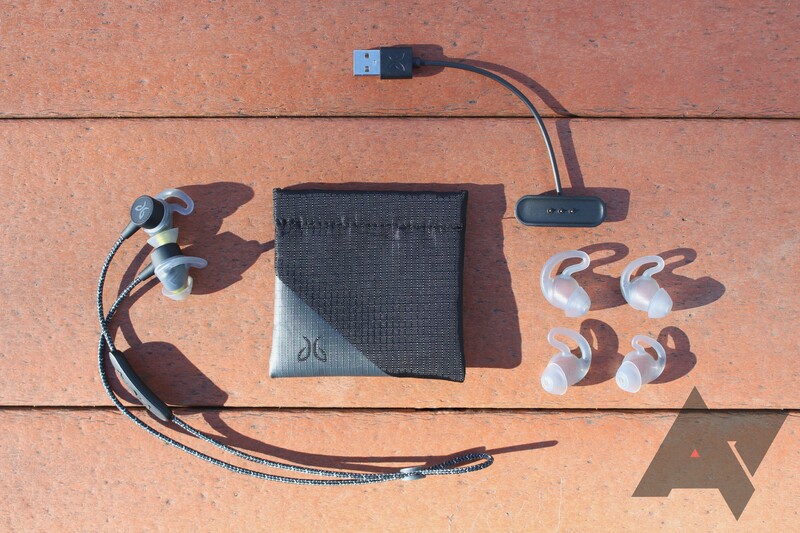 The Pro come with three sets of eargels, a carrying pouch, a shirt clip, and a proprietary full-size USB charger. Jaybird's insistence on using non-standard chargers continues to irritate me, but on the plus side, this is the company's best one yet. There's a flexible four-inch cable between the plug and the charging cradle, which allows greater freedom when connecting the headset. That cradle also attaches to the Pro's remote magnetically, rather than clipping on like the Tarah and X4's chargers. Grating as it is to have a charger dedicated to one single device in late 2018, at least this one is nice to use. I just wish it was USB-C, like every other gadget I own. Audio was a bit of a sore spot for the (non-Pro) Tarah — bass was a little weak, and highs were sometimes piercing. Thankfully, that's not the case here. 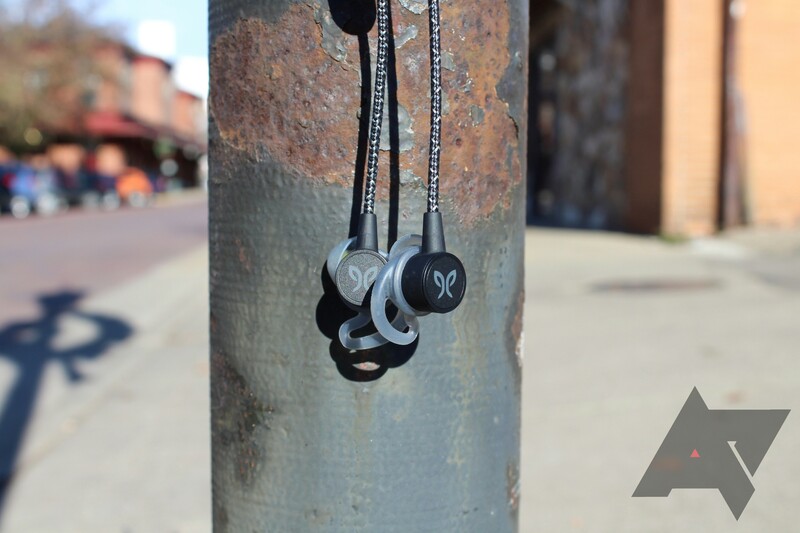 Like the X4, there's ample punch to low frequencies, especially if you boost the bass in the Jaybird app. Compositions stay legible even with many instrumental layers, and the varied genres I listened to during testing sounded satisfying. Call quality is fine, too. Callers sounded clear, and said the same about me. Like other headsets with similar mic positions, though, there's potential for unwanted noise on the call, depending on how you move while talking. It depends. 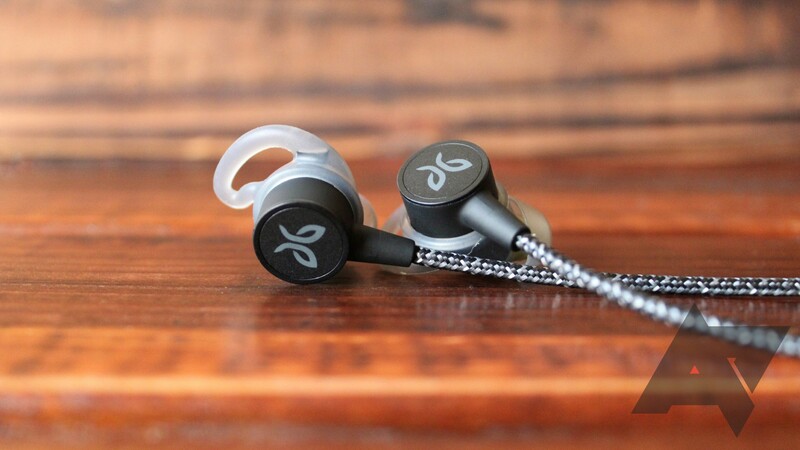 Despite a few shortcomings, I believe the Tarah Pro are Jaybird's finest earbuds yet. Their sound quality is on par with the X4, the new material choices make sense, and their battery is great — although it doesn't quite live up to Jaybird's 14-hour aspirations. I got a touch over 11 with medium-volume listening, but that's still admirable for how lightweight the headset is. But to me, they're not quite as comfortable as the X4, and at $160, they're $30 more expensive. The Tarah Pro see several hours more real-world battery life than the X4; whether that's worth the extra dough to you depends on how often you're willing (or able) to charge. To complicate your decision further, the once-overpriced original Tarah are currently selling for $80 — 20 bucks less than they were at launch, and exactly half the price of the Pro. Battery life is a high priority. You value details like the Pro's reflective cable and magnetic earpieces. You don't mind topping up more often. The X4 are cheaper, sound very similar to the Tarah Pro, and eke out a still-pretty-okay seven hours playback per charge.